When I think of Goldilocks, I am reminded of growing up to all their sweet-tasting breads and pastries. They made perfect baons/snacks and pasalubongs. 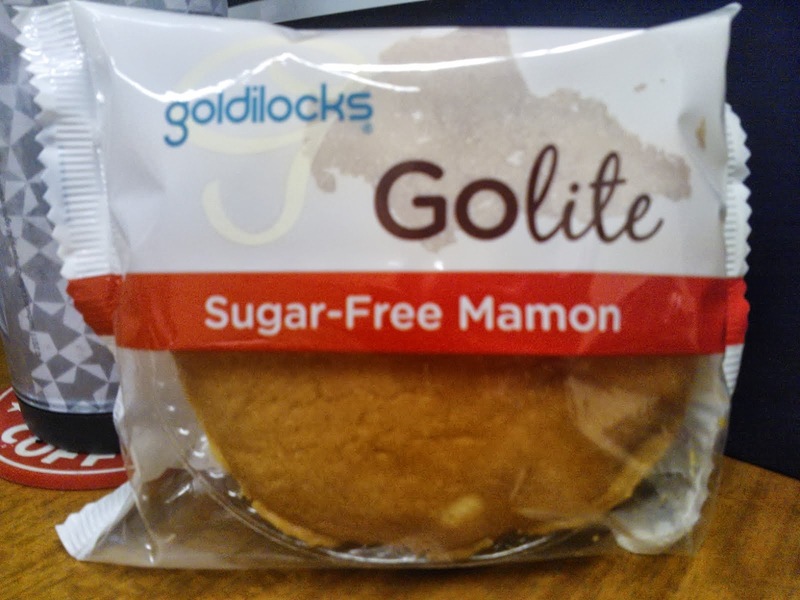 As an alternative to Goldilocks Fluffy Mamon (PhP 20), the Go Lite Sugar-Free Mamon (PhP 29) uses sucralose (Splenda), which is a safer sugar substitute than aspartame according to the Bureau of Food and Drugs Administration (BFAD) and (United States Food and Drug Administration (USFDA). According to No Sugar Added, an article written by Tina Arceo-Dumlao of the Inquirer, a teaspoon of white sugar contains 120 calories as compared to Splenda's zero. The sugar-free mamon tastes just as mildfully sweet and feels just as soft in the mouth as the fluffy mamon.